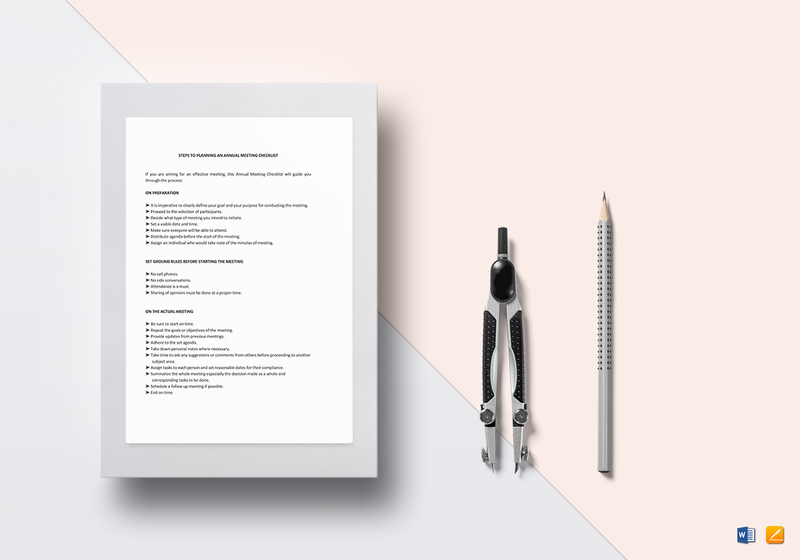 Never miss a step in planning the next annual meeting with the help of this checklist template. 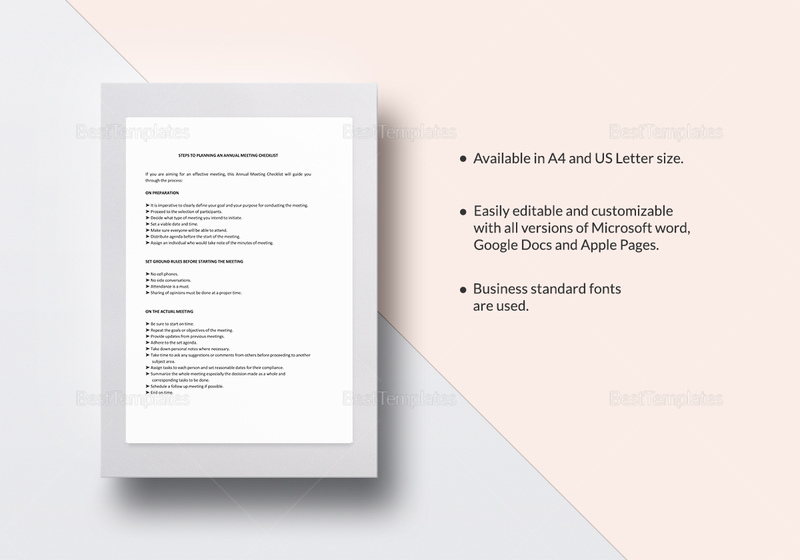 Immediately available for download on Microsoft Word and Apple Pages, the template is also easily customizable for each company to use. Print or share with the rest of the team to effectively divide jobs and ensure success of the annual meeting.